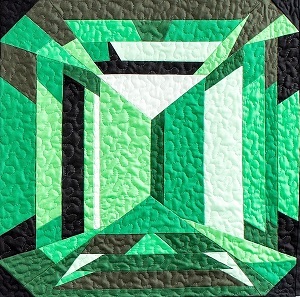 Create our own sparkling gem using the same techniques that artist and designer JM KInman has used to create her giant gem quilts for over 20 years.You’ve read about MJ’s gem quilts in Quilting Arts Magazine and McCall’s Quilting magazine, and you may have seen her on Quilting arts TV and The Quilt Show with Alex Anderson and Ricky Tims. Now MJ has created patterns that allow all of us to bring a little bling into our lives. Through her use of color and contrast, MJ has created patterns that will delight your senses and are a blast to put together even for the new quilt maker. 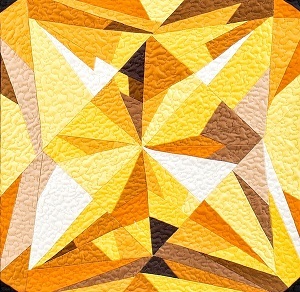 This isn’t your typical foundation paper piecing. 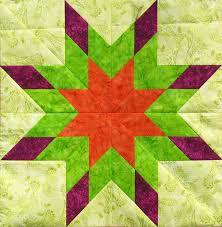 Freezer paper templates are ironed to the right side of your fabric and can be easily removed after piecing. And the best of all, these patterns don’t require absolute precision, so you can relax and enjoy every aspect of making your gem. Join Nancy Strath, certified Gem Affiliate with MJ Kinman, Textile Artist, on November 15 from 12 – 3, or 6 – 9 at Bow Bench Retreat, Nancy has created a comfortable, relaxing, fun environment to cultivate your creative passions, her enthusiasm and expertise help you over come your fears to learn a new technique! Every month we will celebrate brithdays, so join us for all 12 months and create your own Jewel Box of Gemstone Blocks! !